Practical driving tests can be booked and taken at any of the UK Driver and Vehicle Standards Agency (DVSA) driving test centres, regardless of where you live or the address displayed your driving licence. Don’t forget to take along your driving licence – this includes the plastic card (and the paper counterpart if you were originally issued one) to your test centre booking date as it is likely you will be refused access to take the test and you will lose your test booking fee if you forget it. Although not as essential as taking your licence, if possible, also take along your theory test pass certificate and email confirmation for your practical test booking date and time. 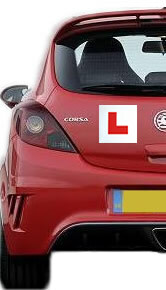 Taking these along to your driving test booking appointment should help to resolve any complications should they arise. Two methods are available for booking a driving test. You have a choice of booking the test by telephone or the more popular option of booking online. To book a driving test by telephone, call the automated DVSA telephone service on 0300 200 1122. Although this is an automated service, a DVSA representative can be reached by following the options provided if you require assistance. You are able to book a driving test by telephone between the hours of 8am and 12pm. To book a driving test online, visit the DVSA online booking service. Booking a driving test online can be completed via desktop computers, tablets or mobile devices. It takes around 15 minutes to book a driving test by either telephone or online booking. Ensure you have your Great Britain or Northern Ireland driving licence number and credit or debit card at hand. How long you have to wait for a driving test depends on the time of year as certain times are busier than others and also your choice of test centre. Test centres located in areas of high density of people tend to be busier and have longer driving test waiting times. Typical waiting times are from one to eight weeks. To reduce this time, you can either choose a test centre with a short waiting time or take a cancellation slot from a previous booking made by another individual. You can change the time and date of your driving test. To change your test date, you must allow at least three working days notice. Saturdays are classed as a working day. You will be unable to change your driving test date unless the applicable notice is provided. You can change your appointment 6 times – after that you’ll have to cancel your test and book a new one. You can cancel your driving test and claim a full refund providing you allow at least three clear working days notice. Saturdays are classed as a working day. You will not be able to claim a refund unless the applicable notice is provided. If you were unfortunate enough to fail your driving test, you will need to wait a minimum of 10 clear working days before you can sit another test. You may however book another driving the same day if you wish. If any special requirements or disabilities are applicable, you cannot use the online service to book a practical driving test. Instead, please telephone to book a test on 0845 247 2472 from 8.00 am to 7.00 pm, Monday to Friday and 9.00 am to 1.00 pm on Saturday. Alternatively, you can call into your local test centre. To book a practical driving test in Northern Ireland, please visit the online booking form. Booking a driving test must be done via the Driver and Vehicle Standards Agency (DVSA) and not through the test centres directly. Test centres should only be contacted to establish if a driving test is going ahead due to bad weather and not for making driving test bookings. I’ve book a practical driving test on 28th August which is a bank holiday. Just checking that tests will be done on that day. Are u able to do tractor driving tests? I’m afraid you can only book one driving test at a time. Reigate driving test centre is not available to book – is it closed?? The last day of operation for Reigate Test Centre is 22/06/2018. So the reason you cannot book is because all test slots have been filled till that date (unless a cancellation is made). Until another test centre is found, the closest to book your test is at Crawley Driving Test Centre.